Since in version 3.5 Python the Type Hints were implemented, in this very short article I want to go through the idea behind it. Let's say you need to create a function that removes values from the given list. The solution you may come up with looks like this. Given that someone else might use this function you may want to add a couple lines of comments. removes all val from els and returns the result. This way it is more obvious how each argument is going to be used. Type hints can help you even more here. In order to make type checking you might want to use an extra tool - mypy, for example. 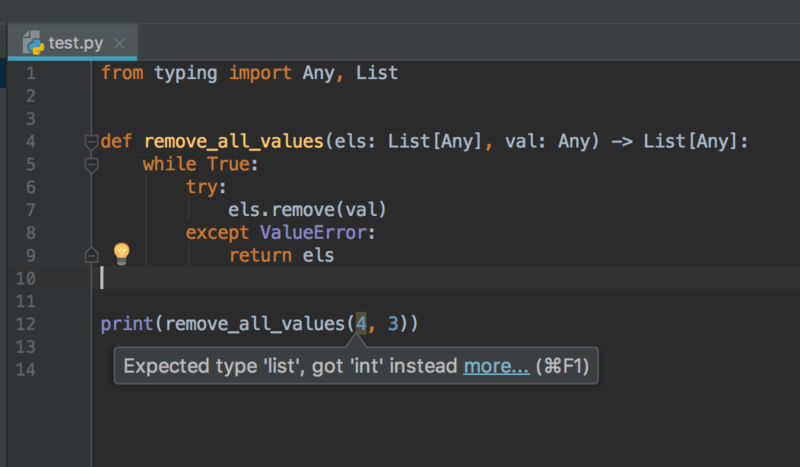 ... error: Argument 1 to "remove_all_values" has incompatible type "int"; expected "List[Any]"
But not only mypy can help you to highlight the typing error like the one above. Some code editors have this feature as well. For example here is how PyCharm helps out. Type hints aren't something new and you can always use mypy in Python 2. In order to do so, you should install the typing module. Move your type hints into the comments. As you can see, this article briefly explains what type hints are. But information stated there is more than enough for you to start experimenting. 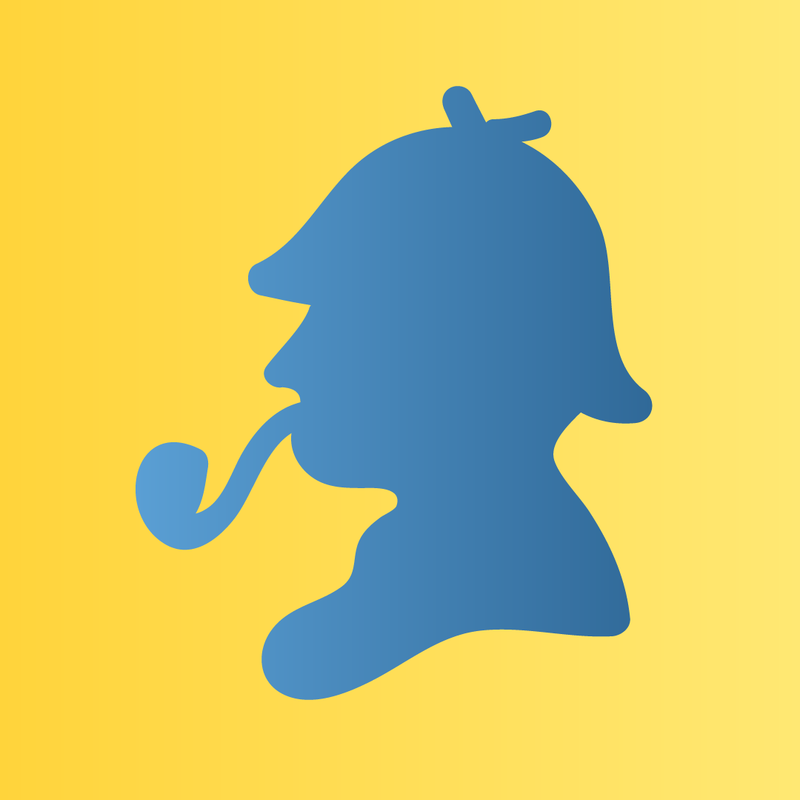 Maybe you will decide to use it in your next project, as for Python there aren’t any specific recommendations on the subject, which means you can still write true python code without using type hints. If you have any thoughts on the matter of pros and cons of using type hints, please, share them in comments. PS: Here are some other examples of type hints, so you'd understand whether you want to use it in your code or not. PPS: Since we only have Python 3 on CheckiO, we will start implementing initial code for our missions.